I can't believe the school year is almost over. It seems to have snuck up on me again this year. I guess becuase since he is in year round school I don't really think about having a hard "end". But starting in 2 weeks he moves up into his next room. And that means that I needed teacher gifts for his current teachers. I found a link (that I had saved for a year) for a customized soap pump and loved it. I knew I had to make these for his teachers and decided that my friend Sonia needed them as well. 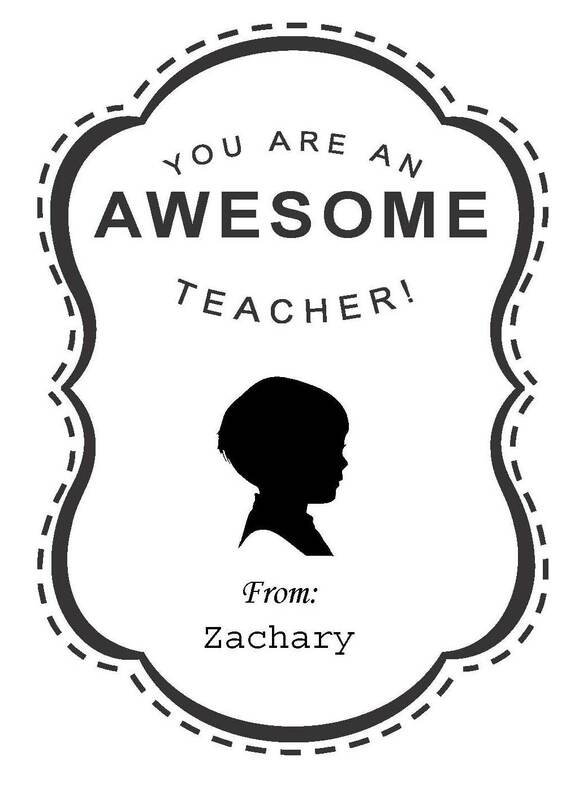 I found a way to transfer the PDF file to a word doc and added silhouettes that looked like our kiddos. They turned out so perfectly!! ﻿Alex's initial response did not really convey the enthusiasm I needed...so he had to try about 3 more times to sound excited about soap. But once I told him they cost $2 each he got much, much more excited.